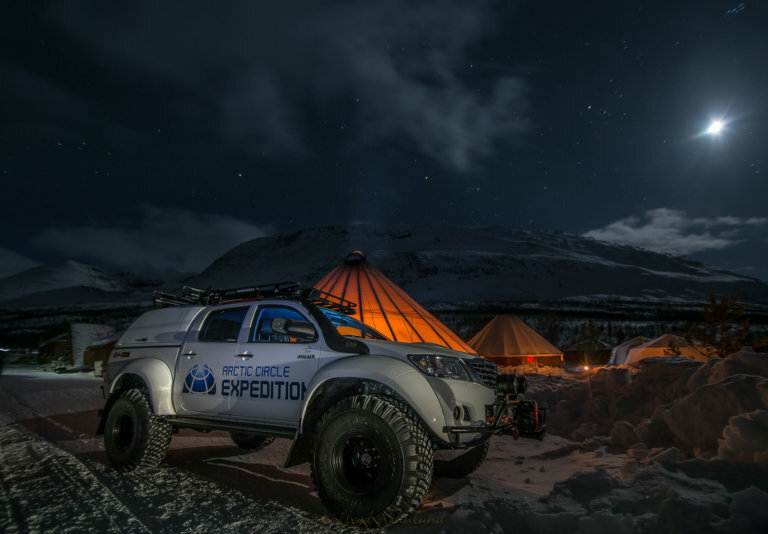 Drive off-road in your very own Arctic Truck through Norway, Sweden and Finland. 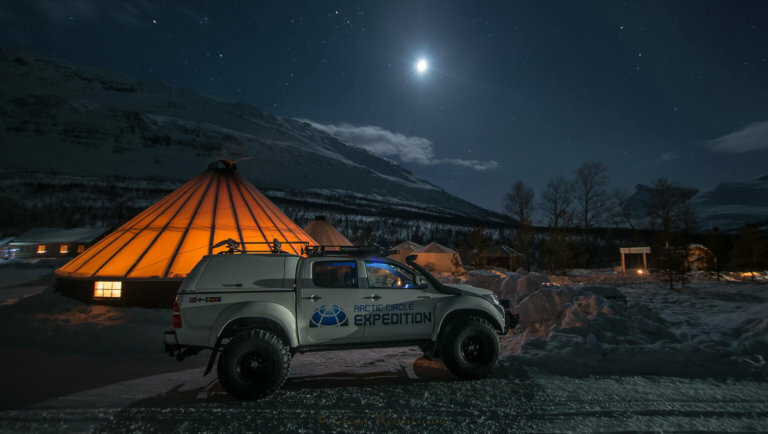 Depart from Tromso early this morning and drive in pairs in your incredible off-road Arctic Trucks to the wilderness centre of Camp Tamok. On arrival, you will receive your warm winter clothes and boots, and all necessary equipment. After lunch in a traditional lavvu you will head in the direction of Sweden and head to the infamous ICEHOTEL in Jukkasjarvi. Just one of the many photo stops along the way will be at the Norway-Sweden border giving you the perfect opportunity to see how the landscape changes. Arrive at the Jukkasjarvi ICEHOTEL in the evening. Enjoy a guided tour around the hotel and dinner in the Ice Restaurant or you could choose to upgrade to the new and exclusive Chef’s Table on the Veranda. Check in to your Art Suite and spend the night in your individually carved room. Awake to a hot lingonberry juice this morning and a warm sauna to warm you through. This morning it’s time to go dog sledding before heading to Finland! The energetic and eager huskies will pull you through the Swedish wilderness on a wooden sledge in this drive-your-own experience. Then it’s time to really test your driving skills! 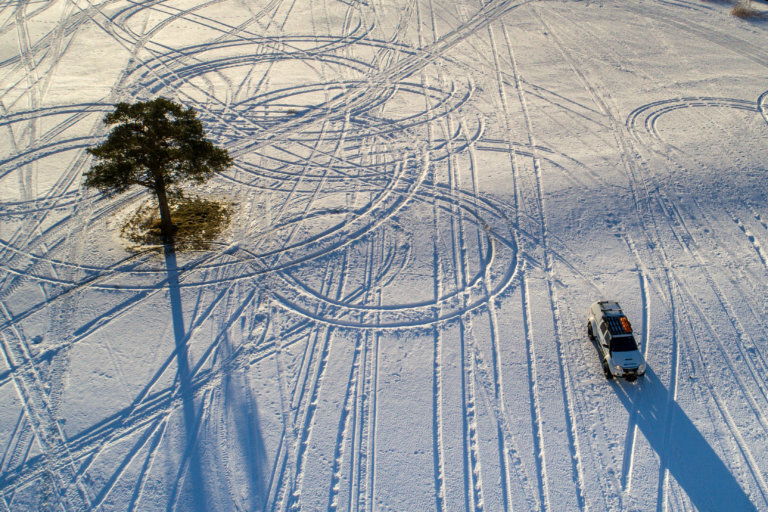 Head into the wilderness in your Arctic Truck and drive off-road for miles. These incredible machines are built for this terrain and it will be a thrilling way to explore this magical landscape as you feel like a true adventurer! End the day with an authentic Finnish sauna before spending another night in a very unique dome tent! This morning you will receive instructions and a safety briefing before driving your own snowmobile. Once finished you will cross the international border back to Norway then park the Arctic Trucks and speed across the scenic Lyngen fjord in a rigid inflatable boat (RIB). 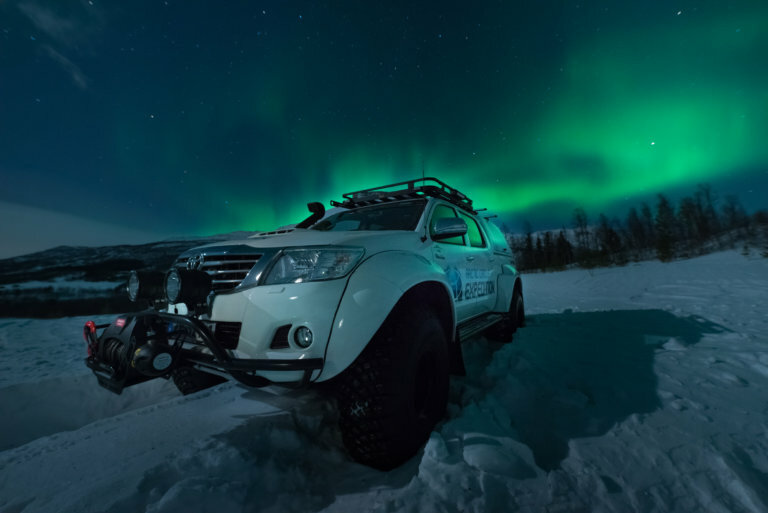 You will arrive at the world’s northernmost distillery, Aurora Spirit, where you will go on a guided tour, have a private tasting, enjoy a delicious dinner then drive to a beautiful lodge for your final night whilst searching for the Aurora. After breakfast you will head back to Tromso where you will say goodbye to your personal guide. This trip is perfect for couples or families that want to feel a real sense of adventure. The memories will last a lifetime!